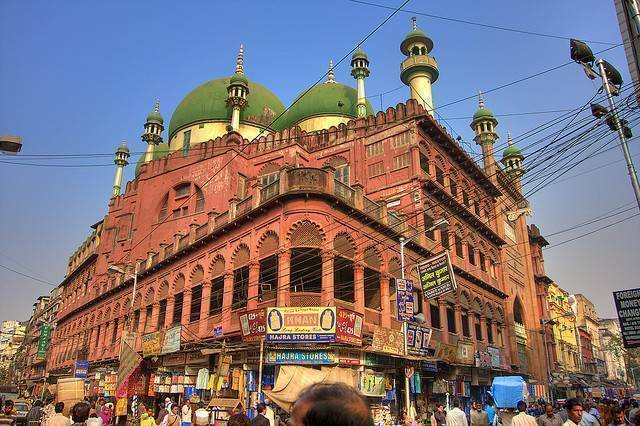 Nakhoda Mosque is a beautiful mosque right at the heart of Old Kolkata in Chitpur, Burrabazar is a treat to the eyes. Its Mughal Architecture combined with its massive size and exquisite architecture is what makes it an absolute must-see if you are in Kolkata. This mosque was built by the Kutchi Memon Jamat community of Sunni Muslims. The word Nakhoda means 'mariner' and the mosque was so named in honour of the shipping prince Abdur Osman who financed the construction. The mosque has 3 domes and almost 27 minarets of which 25 are smaller in size. The granite stone gateway is much like Fatehpur Sikri's Buland Darwaza. The material for this part was brought in from Tolepur. However, what blows the mind away is the artwork inside. If you want to see what Islamic Art is like, the principle mosque of the city is where you should be.